They offer an unparalleled approach to researching and understanding lighting needs within the marketplace. Based on that research, they find ways to provide cost effective solutions to antiquated lighting systems by implementing new and innovative LED fixture technologies. Their team of experts is committed to providing you with undivided attention and the tools necessary to achieve a successful project. Since 1993, Birchwood Lighting has designed and manufactured high-quality specification grade light fixtures tailored to meet the demands of the architectural, commercial and retail design communities. Birchwood Lighting is now part of the Leviton Lighting Business Unit. Capri Lighting, A Philips Group company, offers a vast range of downlighting and track luminaires for use in residential and light commercial applications. Having compiled 25 years of experience in traditional architectural lighting industry by brand partners such as LITON and Lumenton, Coloronix emerges to provide colorful architectural illumination by bringing entertainment color changing technology to architecturally pleasing fixture designs. With advanced patented state-of-the-art technology and simple plug and play user interface, users can enjoy the benefits of using diminutive fixtures like recessed downlights and step lights to unique, awesome effects indoors or outdoors. Satisfy the customers’ needs by providing lighting solutions with complete, innovative product lines and offering a prime quality customer service. With confidence and commitment to their mission and values, they look towards the future. One of the best manufacturers in the lighting industry in regards to the great quality of the solutions offered with complete range of innovative products and the excellence of the customer service including quick customer supply. A company offering a cooperative and stimulating work place where employees are happy to be, are involved and committed to the advancement of Contraste. DALUME was founded in 2004 with the inspiration to engineer quality and reliable luminaire for lighting professionals. DALUME Lighting has been committed to providing LED energy efficient lighting solutions that benefit commercial industries and to offer maximum visual ergonomics for architectural interiors. Located in Tupelo, MS, Philips Day-Brite is a world class lighting manufacturer providing high quality state-of-the-art luminaires. Day-Brite takes their important economic role seriously and takes pride in their quality of products and investments. Established in 2001 and headquartered in Anaheim, CA, Intense Lighting believes in creating performance-driven luminaire families that provide exceptional value to customers. We offer specification and commercial grade lighting solutions to enhance the environments where people work, play & live. Intense strives to develop products that resonate with the architectural community by blending technology, strong design integrity & visual appeal while maintaining a focus on performance. Lightolier luminaires deliver all the flexibility you need to create stunning, visually appealing environments. With this much choice, Lightolier empowers you to illuminate an entire building, inside and out! Liton Lighting was founded in 1996 on the principles of remarkable design and reliable craftsmanship. Since its inception, Liton Lighting has been a leader in Specification Grade, Commercial and Residential recessed and track lighting. With an array of luminaires offered in various sizes, power sources and designer finishes, Liton Lighting offers its customers a reliable source of indoor lighting solutions.  LSAV is a Canadian lighting company that is here to help you find the best and innovative solution in LED lighting for commercial and residential use across a variety of indoor and outdoor products. Introducing the World’s first modular lighting system that integrates ambient lighting, spotlighting, wall wash lighting, Exit & Emergency lighting and Audio & Visual Technologies. A custom uninterrupted look without the custom price; specifying, estimating, ordering and constructing the space you always wanted is now modular-ly simple. Philips Alkco is respected for their unique designs, consistency of quality, and their unwavering commitment to service. These characteristics have been part of their culture since Philips Alkco began in 1946. Innovations like the introduction of the “Little Inch” miniature fluorescent task light, recessed track systems, and modular plug-together designs are just some of the industry-leading products that they have introduced. Senso is a Canadian Manufacturer of LED fixtures. They represent quality, not only of design but also of customer service, R&D and customizable LED solutions. Producing their product takes a dedicated team of hardworking individuals who aspire to create and maintain a standard of excellence for product and service. With all of their products currently being built in their Calgary Alberta manufacturing plant they have to be more competitive and cutting edge than their competition. Solavanti Lighting is built on a solid foundation that is synonymous with cutting edge design, exceptional customer service, and an overall “can do” spirit of delivering the right solution for complex requirements. They have maximized on this solid foundation to deliver a new level of business with their distinct and complimentary product lines. Featuring contemporary European Design product in Specification grade for a wide range of commercial applications. The “One Size Fits All” concept doesn’t apply at Brownlee. They offer customers the ability to select the product features they want…then they build them specifically for them. For 37 years their Reputation of using only the best components along with advanced manufacturing techniques is riding on every product they build. Since 1961, Camman Industries has been designing and manufac-turing the highest quality architectural lighting that the industry has to offer. Projects both large and small receive the level of crafts-manship and experience that only an industry leader possesses. At CFI, sustainability is everything. In keeping with the highest manufacturing and testing standards in Canada, their locally produced and recyclable luminaires are manufactured using efficient processes designed to reduce waste. They are committed to providing you with sustainable, high quality lighting solutions through precise, performance driven optics and reliable luminaires designed for visual comfort and ease of installation. With LED technology being relatively new, genuine claims of experience in it are rare. Along with a hand full of large corporations, Energy Efficient Lighting does stand apart from the “newbies”. As they celebrate over 27 years in the industry, they continue to provide quality backed by experience to their dedicated customers both old and new. Pa-Co Lighting LED luminaires are durable, intelligent and engineered for performance. Pa-Co’s product line covers a wide range of applications from security / anti-vandal applications (such as correctional facilities or high abuse public access areas), to healthcare lighting, as well as clean room applications, food processing, and harsh environments in addition to general commercial, industrial and institutional applications. Philips Vista is dedicated to serving the lighting needs of the healthcare facility. Working with physicians and hospital staff, Philips Vista has developed many of the standards used in every area of the medical community. From the patient room to the surgical suite, Philips Vista can provide efficient, high performance luminaires. Solera has been a leader in custom lighting solutions for the past 17 years and it is as evident now as it was in the beginning that more often than not the best answer to an architectural lighting issue requires a custom design solution. AYRE Lighting Group embraces a design-based approach to develop innovative custom energy efficient lighting solutions. Utilizing a collaborative workflow, AYRE creates the design envelope to deliver highly efficient lighting technologies into the architectural space. Lighting as a component of the actively designed, sustainable space requires the integration of leading-edge LED light engines and control technologies within specific design constraints while employing state of the art manufacturing techniques. Their product offering includes a wide assortment of styles, which are designed with a commitment to fulfill the demanding needs of both residential and commercial applications. Their designs also include a wide range of finishes and energy-efficient lamping options, most notably compact fluorescent and LED sources. The crowning jewel of their offering is their exceptional glass, handcrafted by skilled artisans utilizing century-old techniques passed down from generation to generation. And every glass is hand inspected at their factory in Ohio, ensuring acceptable variation in the color, pattern, thickness and dimension before they deliver the product to their customers. Davis Muller fixture styles are carefully developed to provide the perfect complement to numerous architectural and interior design themes. Unmistakable quality in materials and construction in combination with a broad range of sizes, lamping, options and materials. Davis Muller is the preferred lighting source for commercial spaces requiring performance and aesthetic styling. Forecast Lighting focuses on developing distinctive contemporary lighting designs, developed with the benefit of continual customer feedback as well as a careful analysis of the home décor trends of the day. Forecast offers a wide range of products for both interior and exterior applications including many Energy Smart options. In the past four years, they have introduced over 650 new products! ILex Lighting, specifically for the discerning architect, interior designer, and specifier who requires a design realized with attention to detail, time line, and cost. Their standard line can be customized or they can create complete custom fixtures of unparalleled quality. ILEX offers exceptional custom services from the beginning of the design process to the finished product. Lumi-Concept specializes in the designing and manufacturing of creative indoor and outdoor lighting for residential, commercial and institutional needs. Our products perfectly respond to the needs of our clients: homeowners, architects, engineers, interior designers and other professionals looking to create luminous environments. For over 75 years, Norwell Lighting has been proud of its reputation for producing high quality solid brass interior and exterior lighting. They continue to build on their history by creating unique lighting designs to complement the interior of your home as well as grace your landscape and exterior architecture. Premier Lighting Ltd manufactures energy efficient commercial lighting fixtures. Their in-house team of design specialists are committed to providing innovative, low cost, long life, architectural lighting solutions to Canada, the US and the World. Russell Lighting has been manufacturing and distributing quality lighting fixtures since 1972. Our 35,000 square foot facility is located in Burnaby, British Columbia. They have been an industry leader in all areas of the decorative residential fixture market for many years including the expanding energy efficient lighting market. They excel in product selection, quality, sales, and after sales service. Their knowledgeable staff is on hand to answer any questions you may have regarding their product line or distribution network. Snowball Lighting Incorporated was founded in 2007 and is headquartered in El Paso, Texas. This location includes our corporate offices as well as our assembly facility and our U.S. product warehouse. Snowball Lighting Inc. has quickly become recognized as an industry leader in the design and manufacturing of a full range of LED luminaires across six continents with additional offices in China and the United Kingdom. For over 40 years Tivoli Lighting strives to create and deliver beauty through illumination to its consumers. They offer a complete line of architectural lighting products using LED based linear lighting at its best. TMS Lighting LTD is a Canadian manufacturer specializing in RLM reflectors and a large assortment of architectural lighting fixtures. They have been offering decorative and classic styles for over 70 years. Lam Lighting, a Philips Group company, offers a wide range of asymmetric, cove, linear, pendant and wall mount fluorescent and HID fixtures. Lumux is dedicated to providing the design and engineering industries with new products and cutting-edge design that utilizes the latest in energy-saving light sources. They are committed to providing an expeditious ordering and delivery system and unprecedented long term customer satisfaction. The Wagner Companies manufactures and stocks standard products for metal fabricators and also produces custom products — primarily for handrails. 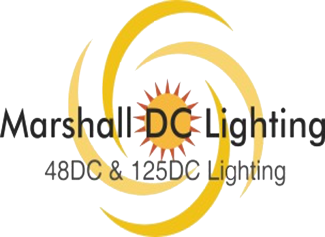 Marshall DC Lighting is leading the evolution of bringing DC-powered LED lighting to the world, offering LED fluorescent lighting fixtures to meet the growing need for emergency, back-up, power failure protection, remote-site, and off-grid lighting requirements. Progressive engineering, quality components, and solution-centric service are the hallmarks of Marshall’s sustainable value, producing state-of-the-art, quality solutions for the world’s leading-edge applications. We believe you should never be left in the dark. Offer a quality product, quick shipping lead times, competitive pricing and excellent service to our customers. They provide various types of Fluorescent, Decorative, Outdoor, HID, Exit and Emergency lighting fixtures. Western Canada’s premier manufacturer of custom-built fiber optic lighting and LED Systems. Beyond their commitments to explore and develop latest lighting technologies, their tremendous product-line intends to ignite creativity and novelty in their clientele for all of their lighting endeavors. Established in 1989, DuraGuard Products Inc. has grown into a worldwide leader of the lighting industry. DuraGuard Products is an OEM manufacturer of commercial and industrial lighting fixtures as well as many other electrical products. In-house fabrication and powder coating, two of our many services, are part of the reasons we can offer you greater flexibility in your lighting options. They tailor-make their fixtures to meet your specific needs. With five factory locations nationwide and a consistent, large inventory on hand, it’s easy for DuraGuard to make your schedule their schedule. Rig-A-Lite leads the industry in innovative solutions and ruggedly designed products for marine lighting, industrial lighting, specialty lighting, petroleum lighting and food processing lighting. Offering a complete line of severe environment lighting, explosion proof lighting, hazardous location lighting, wet location lighting and damp location lighting products suitable for almost any industrial application, Rig-A-Lite continues to set the standard within the lighting industry. The Light Edge, Inc. is a collaborative effort of a remarkable team, with the challenge of producing intelligent, innovative luminaire designs specifically (and correctly) addressing the operating characteristics of T5 fluorescent lamp & ballast technology – and with a focus on quality. Morlite a Philips Group brand, has provided lighting to the corrections industry for more than 60 years. Safe, dependable, secure Morlite luminaires can be found in detention centers, jails, and psychiatric hospitals all over the country. These can be found in the Institutional/ Behavioral section of the Products page. A name that stands for quality, durability, pride, and excellence… a name synonymous with tradition, dedication, and design innovation… a family name. For over fifty years, the Altman™ name has stood true as one of the leading innovators of theatrical, architectural, film and video lighting available on the market today. Blackbird conceives, develops, and meticulously builds lighting of exceptional quality. Their fixture groups are intended to impress. Each piece is designed and fabricated in the USA. They willingly hide each fixture’s fabulous precision engineering in order to bring out the most elegant expression of simplicity. Design, engineered, and constructed like no other, each of their fixtures directly communicates a remarkable quality through a combination of superb materials, refined design sensibility, and exquisite fabrication. Efficient-Tec International LLC offers a complete handrail solution for your code compliant projects.Efficient-Tec International’s S3 (stainless steel systems) handrail solutions can meet any requirement, either from their standard line of products or with modification from the in house engineering and fabricating staff. Evergreen Lighting is a lighting manufacturer of Architectural and Energy Efficient lighting. As a North American based manufacturer, they are able to maintain total manufacturing control when making specific fixtures for projects. Leviton offers a wide variety of lighting controls that combine sophisticated design with state-of-the-art technology. These include architectural controls, daylighting controls, dimmers, fan speed controls, occupancy sensors, relay panels, timer switches and more. Their lighting controls provide precise, dependable control and complement any residential or commercial application, while offering the potential for significant energy savings. Click this link for more information on Leviton controls. A pioneer of the LED lighting revolution, Philips Color Kinetics has illuminated landmarks around the globe for more than 12 years. Colourful illumination that sticks around – a proven track record Worldwide, many of our LED installations have run continuously – 24 hours a day, seven days a week – for almost a decade. Color Kinetics LED lighting solutions offer bright, colourful illumination while cutting energy bills and maintenance costs. Their award winning colour mixing fixtures are synonymous with the professional entertainment lighting industry and regularly feature on the largest shows and tours all over the world. From Broadway to the Four Seasons Centre for the Performing Arts Selecon, a Philips brand, has quickly become the stage lighting fixture range of choice for lighting designers, consultants and end users who seek top quality, safety, performance, versatility and affordability. Sternberg Lighting, a US manufacturer located in Roselle, Il, offers the most complete family of traditional and architectural lighting, luminaires, poles, coordinating bollards, site amenities and landscape furnishings available in the industry today. Technlite serves a broad range of retail and commercial display lighting needs. They continue to deliver the support of a professional manufacturing team and a top-of-the-line, dependable, custom-built product manufactured right in North America. With Vaya, Philips is making dependable LED lighting more attractive than ever. LED lighting is increasingly chosen for its green benefits, low maintenance and high visual impact. Yet LED workmanship varies widely… and high quality usually comes at a high cost for end-users. Vaya is out to change all that. Lighting plays an important role in transforming the look of an outdoor urban space. This is why Philips Hadco is spear heading innovation and environmentally progressive lighting solutions for today’s ever-changing demand. Whether it is a walkway, building entrance, parking lot, shopping mall, development, or landscape area, Philips Hadco can provide a lighting solution. Point Lighting Corporation has solutions for the use of night vision goggles (NVG) with LED heliport lights and obstruction markers. They use the latest high intensity LED technology in specification grade fixtures. ETL & CSA listed for use in wet locations and ICAO & FAA certified. The only manufacturer that uses only glass and metals, no plastics, in the exterior construction. Gardco Lighting was founded in San Francisco, California by Reed Gardner in 1961. Originally started as a custom lighting manufacturer, Gardco pioneered many of the outdoor lighting concepts, components and products that have become standards in the industry, including the “shoebox” luminaire, faceted optics, cutoff luminaires, glowtop products and the “template” method of designing outdoor lighting layouts. Today, Gardco continues to develop innovative, high-quality outdoor luminaires for the professional lighting designer and specifier market. Trusted by specifiers and contractors since 1965, Keene delivers products with proven performance and reliability for commercial, recreational and industrial applications. Keene’s solid, job-ready solutions help brighten work and leisure environments by helping workers be more productive, creating safer play areas for children and enhancing personal security. At Lumec, a Philips Group company, outdoor Lighting is their business. Philips Lumec is specialized in outdoor luminaires, bollards lights, light columns, poles, brackets and wall sconces for public and commercial landscapes. Sigma Luminous is an LED luminaire and controls manufacturer based in Livonia, Michigan. They provide LED lighting and comprehensive controls solutions that deliver premium benefits for our customers – energy savings through innovation. Customers include Kimberly Clark, ExxonMobil, Motion Industries, MSC Industrial and many more. For electrical contractors across Canada, only one brand stands for “best value” – Stonco. Stonco delivers low cost solutions and dependable lighting products for all industrial and commercial installation needs. No other company offers lighting professionals a better combination of great prices and reputable support services. With the success of their company, they will responsibly continue to direct their efforts in the service of others to deliver innovative, glare free, efficient lighting products around the world with the purpose to illuminate the lives of others. Heavy industries, natural resource settings, hazardous environments, tough-to-reach sites – whatever the application, professionals know nothing endures like Wide-Lite luminaires. Arkadium is a manufacturer of custom products for the educational, entertainment and architectural industries. From schools to the largest opera house or theatre to themed architectural spaces, Arkadium solutions enjoy 50 years of success in North America. In addition to our standard products, Arkadium offers custom distribution products and control racks to suit any project. As an industry leader in lighting technology and innovation, EverLast means quality and reliability. EverLast LED Lighting fixtures offer superior quality, longer life, and lower energy consumption than other lighting technologies.Applications include office, industrial and warehouse, large retail and exhibition halls, gymnasiums and natatoriums, cold storage and food processing, hazardous and high temperature lighting. Ardee‘s collection of lighting possibilities goes well beyond the typical. Light alcoves, retail shelves and racks, houses, museums, commercial properties all with the confidence that you‘ll be specifying the best in flexible, proven, reliable high performance systems. Unique muti-lamped ClikStrip™ , down lights, and track bring a contemporary, sophisticated look in both fixture design and results delivered to a wide range of illuminative environments. Bronzelite®, a Philips Group company, is a leader in the commercial landscape lighting market. Our engineering expertise and manufacturing craftsmanship are the keys to producing the highest quality luminaires available. Superior lead times, a focus on new product development, and the ability to provide custom solutions to satisfy unique needs enables Bronzelite to be one of the industry’s premier lighting solution providers! Emco Lighting, A Philips Group company, was founded in Milan, Illinois as an alternative to higher priced luminares. Emco continues to provide quality outdoor lighting instruments to a discerning professional lighting specifiers. HCI is an experienced manufacturer of exterior commercial lighting products. With a coordinated line of heavy duty, commercial quality products, which stand up under various weather conditions. Nite Brites, a Philips Group company, specializes in Area, wall, RLM and canopy lighting. Philips Roadway Lighting has been established to provide innovative solutions that improve the visibility of our highways and roads. With our collective passion, we open up new possibilities powered by advanced technologies. We are determined to provide unsurpassed value to our customers. StarTek Lighting America designs, engineers, and manufactures top quality LED lighting solutions in Libertyville, IL. As a major manufacturer of LED fixtures in 2015, StarTek produces a full line of top products ready for immediate delivery. StarTek offers custom options on large quantity orders. All luminaires are compatible with intelligent energy reduction system controls to provide superior lighting options and are engineered for easy installation and long maintenance-free life. Since 1988, Translite Systems has established itself as the leading manufacturer of specification grade, premium quality lighting products. Translite Systems products do not simply illuminate your space, but allow you to accentuate the architectural features and character of your space. Prospective jobs become easels for the creation of stunning compositions of light, texture and color. Rather than tell the story of how URSA is a global company with offices in Canada, USA, Taiwan, and China, or about how they are ISO 9000 certified, or how they are committed to developing more efficient, affordable and eco-friendly products, let’s just talk about what really matters: lights. To put it plainly, They have designed the world’s most powerful single-source LED products. URSA exists to serve the lighting world, providing innovative solutions through our core platforms. From color changing to energy saving solutions, to lighting as an integral part of building automation, lighting controls are the enabler for a comprehensive project approach. Nova Pole International Inc., a Canadian-owned company incorporated in 1986, is a reputable cost effective, high quality and volume producer of infrastructure poles. They manufacture and market tubular steel poles for use in highway and street lighting, traffic signage, electrical distribution systems, transmission towers, cellular towers, telecommunications systems, solar lighting systems and decorative for streetscape lighting poles and fixtures. Their specialty is fast deliveries of top quality engineered poles.